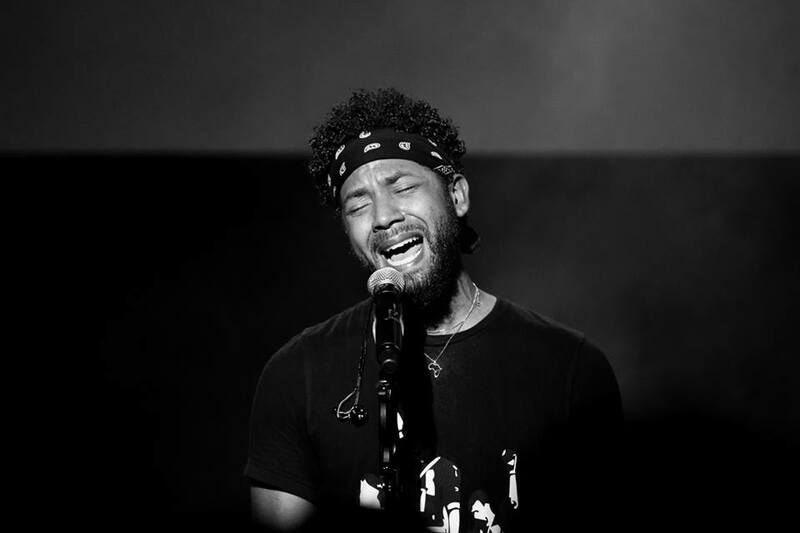 CHICAGO, IL—All charges of filing a false police report against “Empire” actor Jussie Smollett were dropped on Tuesday, March 26. Cook County First Assistant State Attorney Joseph Magats cleared Smollett of 16 felony accounts of disorderly conduct after allegedly lying to police about being targeted in a hate crime. Magats told reporters the charges were dropped after Smollett performed two days of community service last week and agreed to forfeit a $10,000 bond. Magats noted prosecutors would rather focus their time on violent crimes in Chicago. Outside the Cook County Courthouse Patricia Brown Holmes, Smollett’s attorney, told media the request to have the record of the case sealed was approved. “We believe it was the correct result in this case.” No deal was made according to Holmes and said the state dismissed the charges. 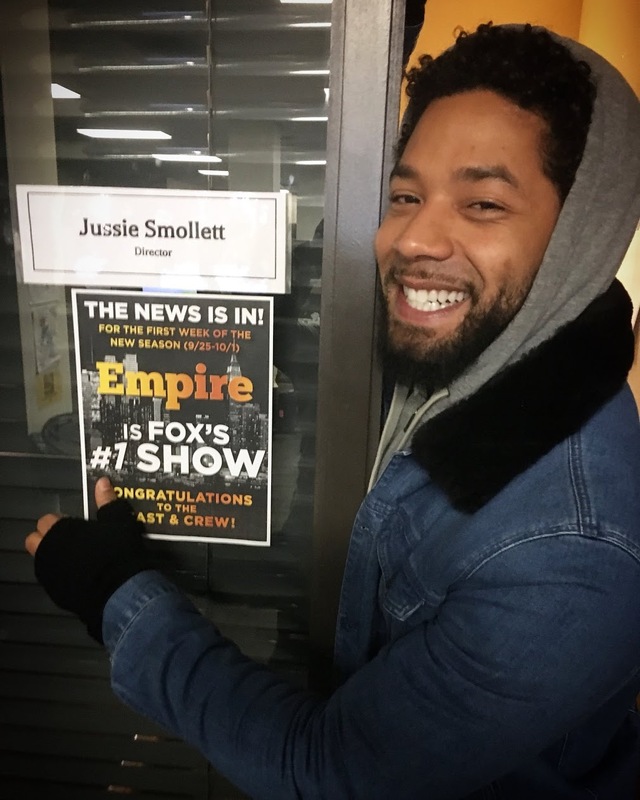 ‘Empire’ actor Jussie Smollett showing his office during his time directing an episode. Chicago city officials were upset by the news, with some believing Smollett attempted to promote his career, expressed their frustration at a press conference. “Do I think justice was served?” said Chicago police superintendent Eddie Johnson. “No. Where do I think justice is? I think this city is still owed an apology.” Johnson said he believes Smollett’s attorneys brokered a deal in secrecy and previously stated that Smollett desire for a higher salary pushed him to fake a hate crime. Emanuel compared Smollett not being charged to the nation-wide college cheating scandal where wealthy parents were indicted for bribing elite colleges for their children’s admissions. “At the end of the day, its Mr. Smollett who committed this false claim upon two individuals and on the city,” said Emanuel. The attackers were arrested on February 13 and identified as brothers Abimbola “Abel” Osundairo and Olabinjo “Ola” Osundairo. They were released without charges two days later after officials from the Chicago Police Department cited the discovery of “new evidence” and no longer considered them suspects. “The two men who attacked him have indicated that they attacked him, so we already know who attacked him,” Holmes said. The Chicago Police Department’s redacted investigative reports of the Jussie Smollett case released mentioned a $3,500 check Smollett wrote out to the attacking brothers who claimed they were paid to attack Smollett. Smollett said the money was for personal training sessions. Files reveal the brothers told investigators their hourly pay rate was between $20 and $50, suggesting Smollett paid for 70 sessions upfront making police suspicious. 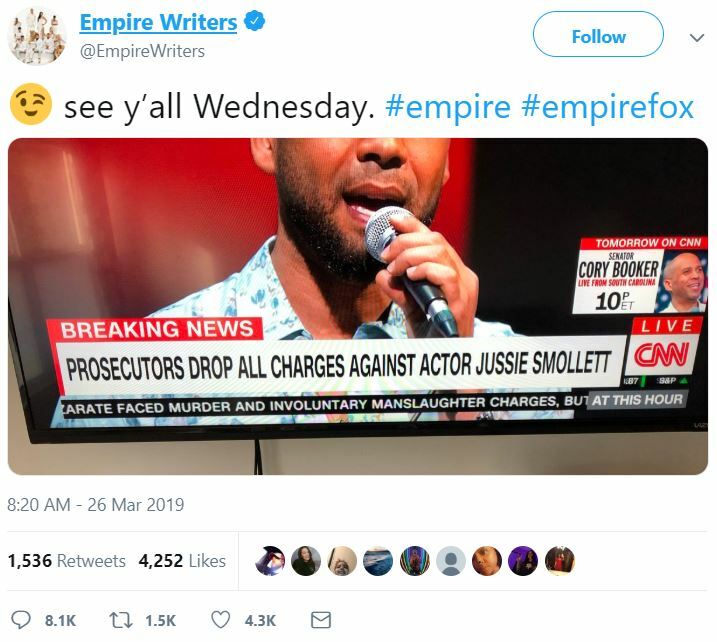 Writers of ‘Empire’ Tweet in response of actor’s charges dropped. The writers of “Empire” sent out a tweet “See y’all Wednesday.” The tweet was met by criticism and threats of boycotting the show.